The ACRC is housed on the 3rd and 5th floors of Building W6A, Macquarie University. The 3rd floor of W6A West features the offices and workrooms of the Ancient History Documentary Research Centre. 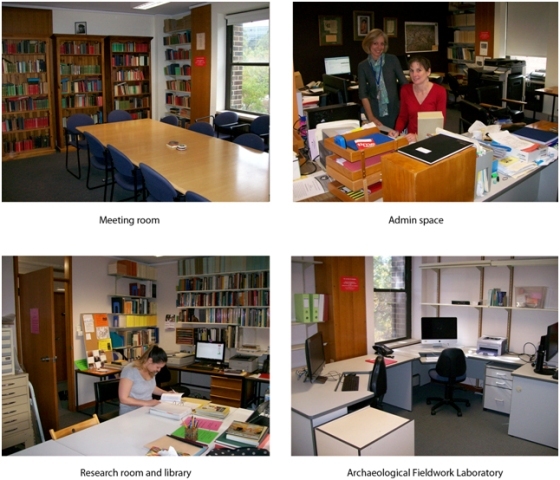 Here there is the Papyrus research workroom, Centre Library and Centre Seminar Room. The 5th floor of W6A East includes the offices and workrooms of the Australian Centre for Egyptology. A research room and library with selected Egyptological references is also located on this level. During 2012, an Archaeological Fieldwork Laboratory was established in the Centre, also situated in W6A, which has been fitted with workstations and specialised fieldwork equipment (e.g., a terrestrial laser scanner, 3D laser scanner, total station, GPS systems, etc).